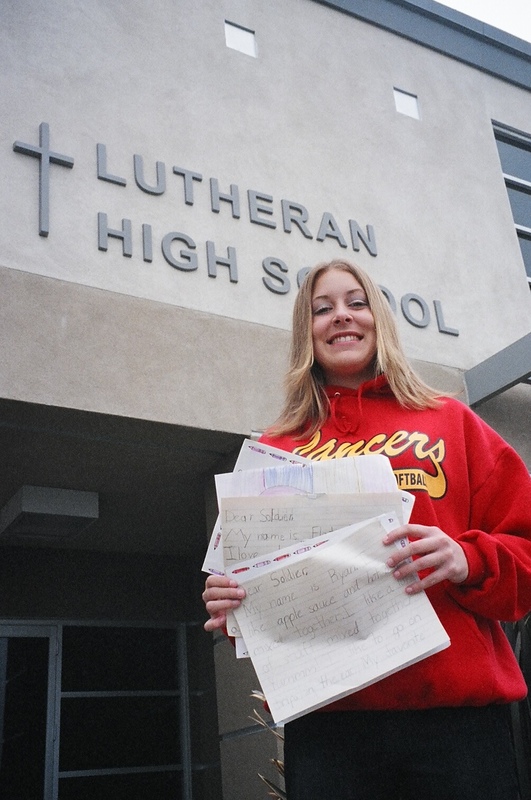 Students at Lutheran High School in Orange, California are beginning a campaign today to collect and distribute one million letters of appreciation to our current and past military service members as part of National Military Appreciation Month (NMAM), which is celebrated each May. The campaign idea started when Lutheran High freshman student, Shauna Fleming, 15, was challenged by her father, Michael, to collect a million thank you letters for the military. Michael Fleming founded an annual campaign called Valentines For Troops, and has collected and distributed over a million and a half Valentines to US troops the past two years. The freshman student, requesting the entire school get involved in the campaign as a school service project, approached Gregg Pinick, Lutheran High principal. ÂI canÂt think of a better way for students to express themselves for the sacrifices made by the men and women in our military, than to try to collect and distribute letters of love and appreciation. The students are not asking people to support any military cause, but to take time and write a special thank you letter to our service members for the work they do and for their sacrifices to maintain the freedom we enjoy in this country,Â said Pinnick. To handle the amount of mail they expect to receive, the school is organizing the students into open, sort, and packaging teams. The mail will be distributed to a variety of military bases, USOÂs, VA hospitals, and other military organizations. A special website has been set up to provide specific rules and information about the campaign. Alice Wax, Executive Director of NMAM, said she is delighted to hear that high school teens want to take the lead this year in showing appreciation for our troops. ÂI hope they get two million letters,Â said Wax. ÂIt is so important to build the morale of our service members and nothing does it better than a thank you letter from homeÂ, she added. ÂThis campaign will be challenging but very rewarding for everyone involved,Â said Shauna Fleming. ÂI remember last year when I helped deliver about 300,000 Valentines to March Air Base. Many of the pilots had tears in their eyes reading the messages. 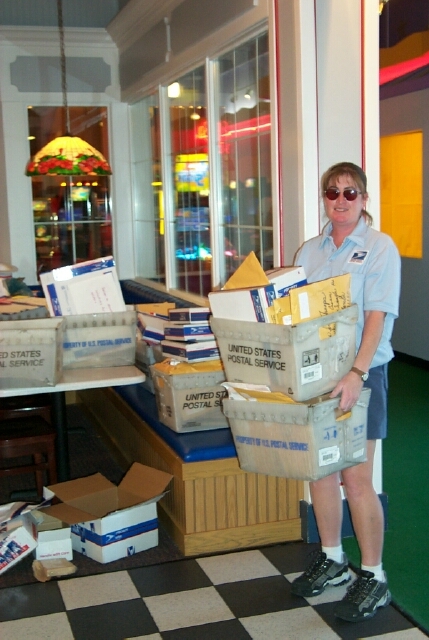 I know the appreciation letters weÂll deliver in May will help to lift their spirits,Â she added. Appreciation letters to the troops can be sent to: A Million Thanks c/o Lutheran High School of Orange County, 2222 North Santiago Blvd. Orange, Ca 92867. Their website is http://www.AMillionThanks.org. For information on National Military Appreciation Month visit http://www.NMAM.org.